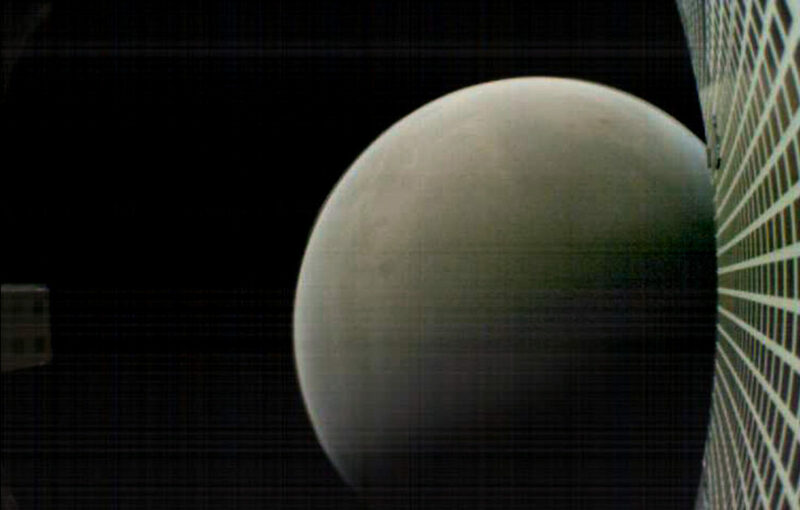 MarCO-B, one of the experimental Mars Cube One (MarCO) CubeSats, took this image of Mars from about 4,700 miles (6,000 kilometers) away during its flyby of the Red Planet on Nov. 26, 2018. MarCO-B was flying by Mars with its twin, MarCO-A, to attempt to serve as communications relays for NASA’s InSight spacecraft as it landed on Mars. This image was taken at about 12:10 p.m. PST (3:10 p.m. EST) while MarCO-B was flying away from the planet after InSight landed.